Excellently located, beautifully remodeled-this home is a true delight. Just 1 mi. 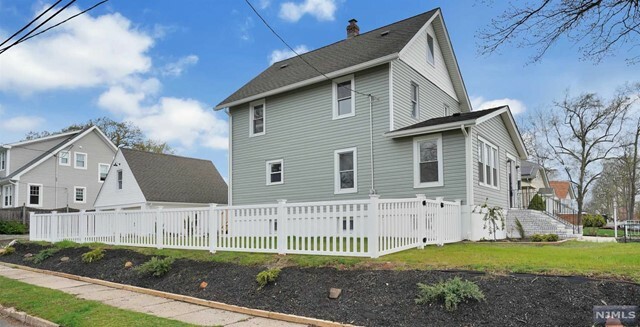 to the Cranford & Garwood train stations and in walking distance to parks & schools. Inside this home sparkles with tons of updates, hardwood floors, elegant moldings, and luxurious accents throughout. Add in a bright, open floor plan and you’ll be proud to entertain here! A wonderful center island kitchen is sure to be the hub of the home. Overlooking the living room, it features a center island breakfast bar, stainless steel appliances, and connects to the gracious dining room with its butler’s pantry and wine refrigerator. Upstairs 3 spacious bedrooms await along with 2 updated full baths. 3rd fl offers a nice sized den/office & potential 4th bedroom. Enjoy a huge finished lower level with rec room, storage, & powder room!